A west African woman who was admitted to a Johannesburg hospital this month has tested negative for the deadly Ebola virus. 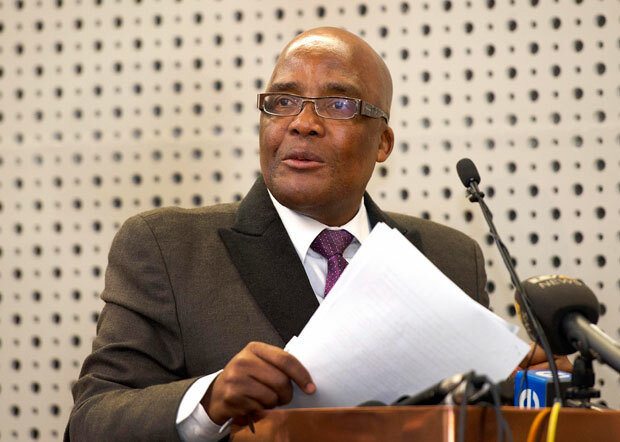 In a rush press conference on today, Health Minister Aaron Motsoaledi said the woman from Guinea arrived in the country on July 28. She was checked for a high temperature before leaving the country and upon arrival on South African shores. However upon her admittance at the Rahima Moosa Mother and Child hospital she displayed a fever of 39 degrees and was quarantined as a precautionary measure, he said. Blood tests were then conducted by the National Institute for Communicable Diseases. The results were returned Thursday afternoon. Media became aware of her admittance and isolated through a statement issued by DA health Jack Bloom. Motsoaledi labelled his statement as “mischievous” and attempting to seek attention. It had been agreed by all political parties that Ebola would not be used for political peddling. She was admitted at Rahima Moosa Mother and Child Hospital because she was in labour and still is.